Is there a way for the person submitting the form to get a copy of the submitted form sent to them? By default, upon form creation, the system creates a Notification email addressed to your Profile's email address. Whenever you add an "Email" field, the system then also creates an Autoresponder email to be sent to whatever value is inputted in that field. If you don't have an Email field, you can still create an Autoresponder by going to Settings > Emails > click on plus sign > choose Autoresponder Email. 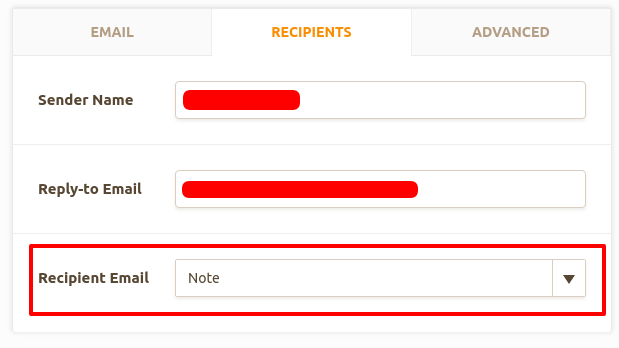 Then on the Recipients tab > Recipient Email, select the form field of which, the value will get an email.